Paragliding tandem flights in Annecy. paragliding jump. Airmax is a team of four professional pilots, with a great experience. Your first paragliding flight, on a tandem, with an instructor, for unexpected sensations. Discover paragliding thanks to our different offers. 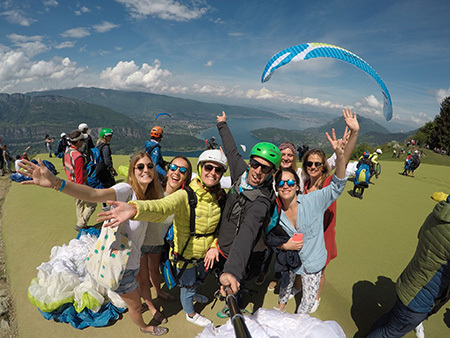 Experience your first paragliding flight to discover this outdoor activity. 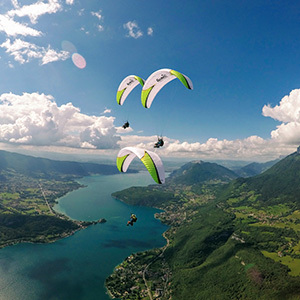 We provide you Lake Annecy from the sky. Paragliding tandem flight with take off on skis. Your tandem flights in la Clusaz or Courchevel will make you discover mountains with a different view angle. Offer a day dream with a gift voucher. Order online and we will send you a voucher on a glossy paper card. The tandem paragliding season starts from mid-April. You are on the website of the paragliding instrucors of Airmax. 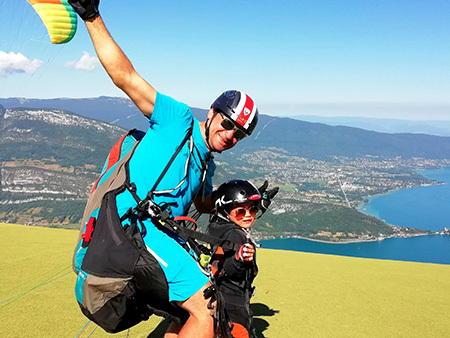 By navigating through our pages, you can discover paragliding flight on Annecy, The children flight, discovery flight, thermal flight, sensation flight, sensation plus, prestige. Our flying period goes from middle of april until the end of october, knowing that these dates are due to change considering the weather conditions and the snow on take of. 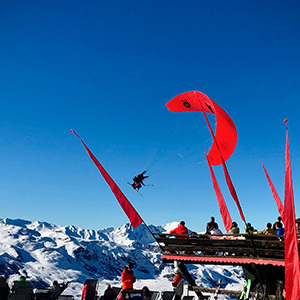 Paragliding tandem flight can allow you to experiment your " baptême de l'air in winter", above snow int the ski resorts of La Clusaz, Méribel or Courchevel. from the beginning of the winter season till the middle of April, discover the jump in two-seater paragliding with a take-off on skis. Even if you are beginner with skiing, you can take off anyway, You'll just have to slide on a couple meters, without slowing down(braking), without turning. All our flights are accessible to beginners. The instructors, before flying, will give you a briefing, and go for adventure. 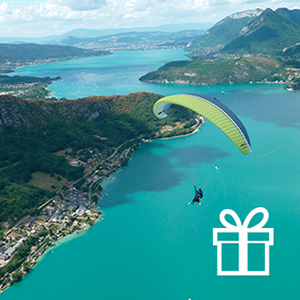 Follow the various points on our site in the heading gift voucher for a tandem paragliding flight.